The Society for Arts and Technology [SAT] launches SAT CIRCUIT, its international tour for Fall 2018. SAT CIRCUIT presents, for its first edition, a selection of immersive works around the themes of movement and hybridity. Trajectories, positions, distances, scales and speed are all inherently part of the visual language in musical composition and for creating today’s immersive works. The infinite tridimensional space remains the central canvas for this innovative form of expression in which audiovisual and performative events coexist in a complex and dynamic ecosystem. With this tour, the SAT puts forward generative works and immersive audiovisual performances from its artist residency program. This program now has more than a hundred works in its collection, among which a few that have already been presented in international festivals. Over the last years, these works have effectively questioned the vocabulary of immersion and the use of digital domes (fulldome). 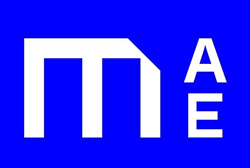 This mode of expression, currently booming inside digital culture, remains an active field of research for the Society for Arts and Technology since its foundation in 1996. The subject of the dome, even more so, with the permanent installation of the Satosphère, the first large format immersive display dedicated to the arts. The SAT is proud to have the opportunity to showcase, among others, Canadian creators who distinguished themselves with their experimental creative process, which has led to the creation of original, significant and singular works. By Push 1 stop (CA) & Woulg (CA). INTERPOLATE incorporates live coding and generative processes to create an experience where visuals control audio, and audio controls visuals. Minimal generative 3D geometry and particle systems take the audience through the music, conveying the physicality of the sound while mapping out the emotional landscape of the melodies. This project benefitted from the support of the SAT's artwork creation program. Gleefully muddying the waters between motion design, 3D and audio reactive visuals, Push 1 stop’s output has been incredibly varied. While each of her performances is poles apart from the next. Her live sets are invariably characterized by the build up of elegantly precise and complex narrative environments. Woulg creates dark sonic landscapes disrupted by glitches that are equally likely to break into hypnotic pounding techno as they are to expand into ambient bubbles of texture ready to burst; reminding us that nothing lasts, that we should always expect the unexpected. His mind bending live sets explore these ideas while taking the crowd on an unpredictable journey. 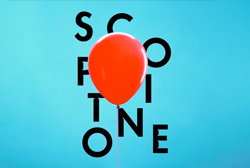 By Fraction (FR) & Louis-Philippe St-Arnault (CA) in collaboration with Nature Graphique (FR) & Création Ex Nihilo (CA). ENTROPIA is an immersive audio visual performance exploring spatial interaction between sound, physical light and 360° visuals. It aims to create an immersive scape made of interconnected layers of medias. It’s based on a audio reactive geodesic led filled sphere that keeps a constant interaction with immersive visuels projection, and is synchronized to the sound. Sound artist stands inside the sphere while visual team performs real time pixels mapping and generative visuals. Created by Fraction (FR) and Louis-Philippe St-Arnault (CA) in collaboration with Nature Graphique (FR) and Création Ex Nihilo (CA). Fraction (aka Eric Raynaud) is a French musician, composer and producer of experimental electronic music. After the release of his first EP Superposition on the French label InFiné, Raynaud moved away from traditional music fields to focus on digital arts, working on complex stage designs and hybrid writings that combines visual, sound and physical medias. Fraction has kept on merging 3D immersive sound with contemporary art and architecture together, incorporating his questioning on themes that combine science and contemporary sociology. Experimentations on the spatial, physical and emotional characteristics of sounds are on the epicentre of his atypical work. Visual artist and space designer, LP Starnault has been creating for more than 15 years creative projects, public installations and digital scenography that transform light into movement, and image into journey. In 2014, he created UrbaMorphic Vol1, a permanent digital art installation embedded in the front of Montreal’s Marc-Favreau library. He also participated in several collective creative projects, such as Irradiance in 2016, an urban mapping that reacts to the environnement; Dream Collider, in 2015, an oneiric immersive installation in which a group interacts collectively; and Entropia, presented in 2015 and still on tour. This experiential project was featured in The Creators Project, DesignBoom and XLR8. A Montreal-based digital artist, LP Starnault has also been directing the SAT [Immersion] department at the Society for Arts and Technology since 2007. He was head of the Satosphère project design and integration team from 2008 to 2011 and now acts as its programming director. Guillaume Bourassa is an A/V and new media artist, and co-founder of Création Ex Nihilo. Having worked at the SAT for close to ten years, among which four as the technical director of the Satosphere, he is now the technical director of the R&D experiment program at Moment Factory. He has more than 15 years of experience in digital art. He constantly reinvents himself through learning of the latest state-of-the-art software and technology, like TouchDesigner, as well as through his implication in various creative projects. Multimedia artist working on the design of installations, digital scenography and immersive displays, Aurélien Larfargue (Nature Graphique) is a graphic designer, developer and filmmaker. 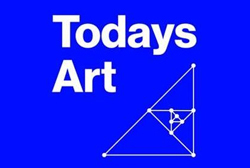 His process involves architecture as much as design, lighting, and all forms of interconnections between arts and technology. His creative pieces are always one with an object, space, or real or virtual architecture, of which he reveals or reinvents the geometrical volumes, angles, surfaces, textures, whether they are organic or digital. By Montreal Life Support (CA) in collaboration with Justin Wright (CA). Written as an immersive audio visual album, each track takes a unique look at the concept of an orbit. Both the music and film elements will explore rhythm, period and cycle through many different avenues, from the regular and repeating path of an orbit to the complex interactions of many bodies influencing each other. The live performance integrate synth driven electronica with a string quartet using multi point surround sound to create an extremely rich immersive experience. Montreal Life Support is a musician signed to Ninja Tune as ‘Dems’ and freelance installation/interactive designer from London England. After graduating David went on to work for United Visual Artists & D3 Technologies. Working as an electronic and mechanical project fabricator.Montreal Life Support has produced work and collaborated with companies including the BBC, United Visual Artists, English National Ballet, Ballet Rambert, Barbican and Channel 4. He has also helped with the programming of the light show on the tallest building in London, «The Shard ». He has also built live AV shows for Dems, Emmy the Great and Max Cooper. By Diagraf, Ewerx & Wiklow (CA). Patrick Trudeau (Diagraf) is a multidisciplinary artist currently based in Montreal, Quebec. While mostly recognized as a digital visual artist, he is also a VJ, DJ, composer, and filmmaker. His work in those fields features a forward thinking minimalist aesthetic combined with a science fiction sensibility, exploring notions of futurism, metaphysics, existentialism and humanism. His current trajectory is leading him increasingly towards generative performances, immersive audiovisual works, and virtual/augmented reality projects. Michael Dean (Wiklow) is a composer, technologist and digital artist based in Montréal. Under the pesudonym ‘Wiklow’, he creates “a world of familiar digital sounds given organic autonomy” [MUTEK 2015]. Either solo or in collaboration, Dean brings together concepts from sound art, techno and contemporary art music..
By Desaxismundi (FR) & Terminal Wolf (CA). In physics, the body's inertia is the tendency of an object to maintain its speed, to persevere itself without any external influence. INERTIA is here an audiovisual and immersive study of the movement, speed, strength and resistance to abstract bodies facing physical and temporary changes of their condition. Desaxismundi is an independent visual artist and creative developer specializing in generative design and audiovisual performances. His work ranges from creating interactive and multimedia experiences to designing motion and monumental video projections. Always at the border between art, sciences and technology, Desaxismundi gives shade to light and carves emptiness to make complexity emerge. Olivier Rhéaume (Terminal Wolf) is a sound artist, composer and sound designer who stepped into the Quebec electronic music scene more than 15 years ago. After studying film, he quickly gravitated towards creating themed multimedia shows that brought him to explore and develop sound techniques for the stage and for art installations. For 7 years now, he has worked as the audio lead in the Immersion department for the Society for Arts and Technology, in addition to being an instructor and sound designer for its immersive shows. By Jane/KIN (CA), Myriam Boucher (CA) & Mailis G. Rodrigues (CA). A/V performance combining VJing, saxophone, voice, electronics and spatialization, in which the connexions between performers and audience are explored. Jane/KIN is a duo composed of saxophone-player and singer Ida Toninato and electronics artist Ana Dall’Ara Majek. Together, they invent a hybrid and visceral language in between electronica, drone and instrumental. Myriam Boucher is a composer and video artist based in Montreal. Her sensitive and polymorphic work examines the organic relationship between music, sound and visuals. Mailis G. Rodrigues works on interactive media applied to the arts. She holds a Doctorate in science and technology of arts from Portugal, during which she designed a digital musical instrument, Intonaspacio, which uses a space’s acoustics to influence the live musical performance. Elaborated by the French/Japanese duo Nonotak, VERSUS is an immersive AV experience that questions the relationship between 360° image and sound. The viewer finds himself submerged, at the center of an environment that constantly redefines space by breaking distances between projection, audience and screen. In early 2013, they start to work on light and sound installations, creating an ethereal, immersive and dreamlike environment meant to envelope the viewer, capitalizing on Takami Nakamoto's approach of space & sound, and Noemi Schipfer's experience in kinetic visual. The last 2 years they have been commissioned by many countries all over the world and have been invited by institutions and Galleries. By Alex Augier (FR) & Alba G. Corral (ES). End(O) is an immersive and unique audio-visual performance wich brings together aesthetic research and techniques from musician Alex Augier and visual artist Alba G. Corral, to converge towards a transversal and coherent piece that focuses on what appears to be an original and specific path to hypermedia. Alex Augieris an electronic musician based in Paris. His work focuses on hybrid digital aesthetics in a musical and transversal perspective, including sound, visual, formal and spatial elements. These elements interact with the stage space, himself, and take mainly the form of singular audiovisual performances. He defends an overview of the creative process where design, programming and technology are an integral part of the artistic project. He shares his artistic approach in the context of musical or formal collaboration. He has collaborated with Julie Ramage, Damien Bourniquel, aKousthea company ... His works have been presented at international festivals including Scopitone (Nantes/FR), Elektra (Montreal/CA), Media Ambition Tokyo (Tokyo/JP), Open Source Art (Gdansk/PL), KinoBeat (Porto Alegre/BR), Athens Arts Digital (Athenes/ GR), Nemo (Paris/FR). 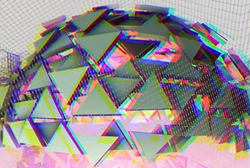 Alba G. Corral is a visual artist and creative coder based in Barcelona. With a background in computer engineering, Corral has been creating generative art using software and coding for the past decade. Her practice spans across live performance, video, digital media and installation, exploring abstract narratives and expressing sensitivity and taste for colour. By combining generative systems with improvised drawing techniques, her digital language becomes organic, creating mesmerising digital landscapes. Corral is known for her stunning live audio-visual performances where she integrates real-time coding and drawing in collaboration with musicians. Her works has been exhibited at festivals and events in Europe, Mexico, Japan & USA. By Studio Z1 : Camille de Dieu (CH) & Laurent Novac (CH). An audiovisual immersive performance by Studio Z1, composed of Camille de Dieu (CH) and Laurent Novac (CH). The space of the dome reveals itself little by little as the 360° expedition advances, thus allowing the progressif reconstruction of the work’s story. The materials, sound, light, and shapes first interact cooperatively. Disruptive elements then come and modify the course of the experience, until the spectator is totally immersed. Over the past decade, Camille de Dieu has focused her work and her reaction to different contexts. These creations call upon various techniques and materials (projection mapping, 3D modelling, sculpture, light projection…). She has exhibited her projects around the world (HEK-Bâle, Mudac-Lausanne, Salone del Mobile-Milano, Bam Liège Festival, Swissnex Rio …). Laurent Novac’s research is centred primarily on the creation of tools and “live” performance works, with a particular focus on graphics rendering and sound creation. Over the course of the past ten years, he has participated in the development of audiovisual installations and performances that achieved worldwide resonance. Laurent is a member of the software development team for the audiovisual creation tool MadMapper. He is also a visiting professor at the Geneva University of Art and Design (HEAD – Genève) in the Masters of Media Design program, teaching generative design. This tour also supports the presentation of works by European artists in their local community. These creators have been supported through the SAT's art creation residency program and/or through training workshops by the organization. 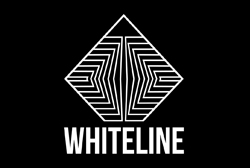 White Line festival presents works that prompt conversations and exchange of information about the field of digital arts, and showcases local, European and international talent. 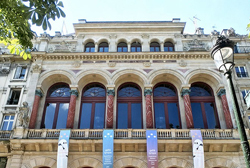 This festival presents a concentrate of today’s music and digital creative work. This transdisciplinary event brings forward these creative crossroads and is eagerly awaited every September. Festival whose singular programming is directed towards innovative electronic music and the visual arts that surround it. Combining concerts, video mapping, art creation, conferences and documentaries. From festival, to international platform for transdisciplinary creativity: since its launch, TodaysArt has brought together artists, thinkers and crowds in its constantly evolving environment. 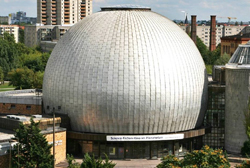 The largest planetarium in Central Europe, offering programming for both the young and old. A space for creative research and confrontation, it is known as a production space, welcoming projects from emerging companies, regional and national alike. 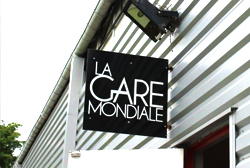 A cultural establishment in the city of Paris dedicated to bringing together arts, technology and society. It provides a knowledgeable insight, as well as a critical, quirky and amused view on popular cultures, digital practices and their emerging art formats. 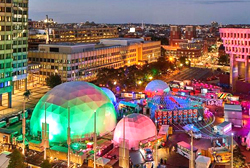 Founded by The Boston Globe, Harvard University, MIT and Massachusetts General Hospital, this festival brings together the most creative and inventive minds making an impact in art, science and technology. Centered around the art of live electronic music, and of visual and cutting-edge digital art. Vaulx-en-Velin invites you to a fun and family-friendly experience in all the city! An immersive experience of digital cultures! 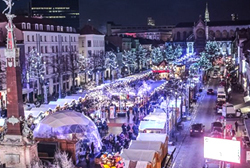 The centre of Brussels hosts Plaisirs d’Hiver, an event that contributes to increasing the city’s attractiveness, and turns it into a prime year-end destination.